Chai is a partner in Harneys’ restructuring and insolvency group in Hong Kong and leads the restructuring practice in Asia. Chai specialises in cross-border restructurings, insolvency and workouts of distressed companies. He advises leading international and regional accountancy practices, onshore law firms, financial institutions, insolvency office holders, official and unofficial creditors’ committees, private equity sponsors, hedge funds, debtor-in-possession loan providers, directors, trustees, shareholders and corporate debtors. He has worked extensively on assignments throughout Asia, including in China, Hong Kong, Japan, Singapore, South Korea and Taiwan. 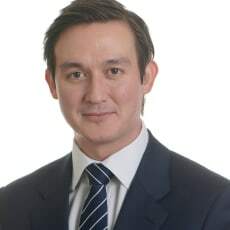 Recently, Chai has played an instrumental role in a number of global restructurings concerning offshore entities including Mongolian Mining Corporation, the Pacific Andes group of companies, Global A&T Electronics Ltd (GATE), Z-Obee Holdings Ltd, China Lumena New Materials Corp, Kaisa Group Holdings Ltd, the LDK Solar group of companies, Birmingham City Football Club, China Shanshui Cement Group Limited, Greens Holdings Limited, Titan Resources Management Limited (part of the Titan Petrochemicals Group), Dalian Rightway Real Estate Development Co Ltd and Suntech Power Holdings Co, Ltd. Prior to joining Harneys, Chai was a senior associate at a global law firm in Singapore and London. Chai is recommended as a leading lawyer by Legal 500, which calls him ‘very personable and pragmatic’ and an ‘up-and-coming partner’.